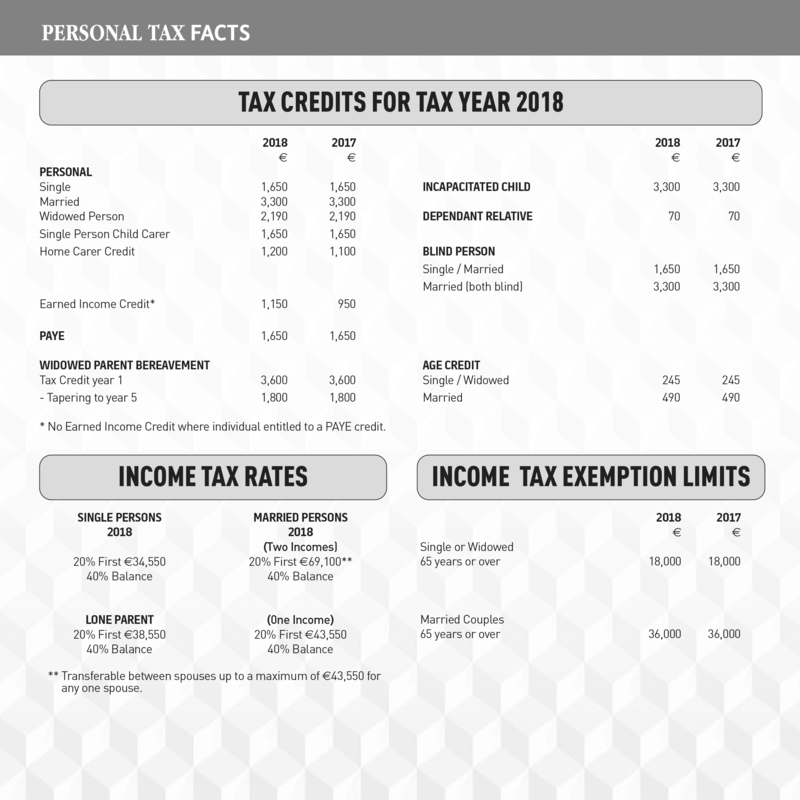 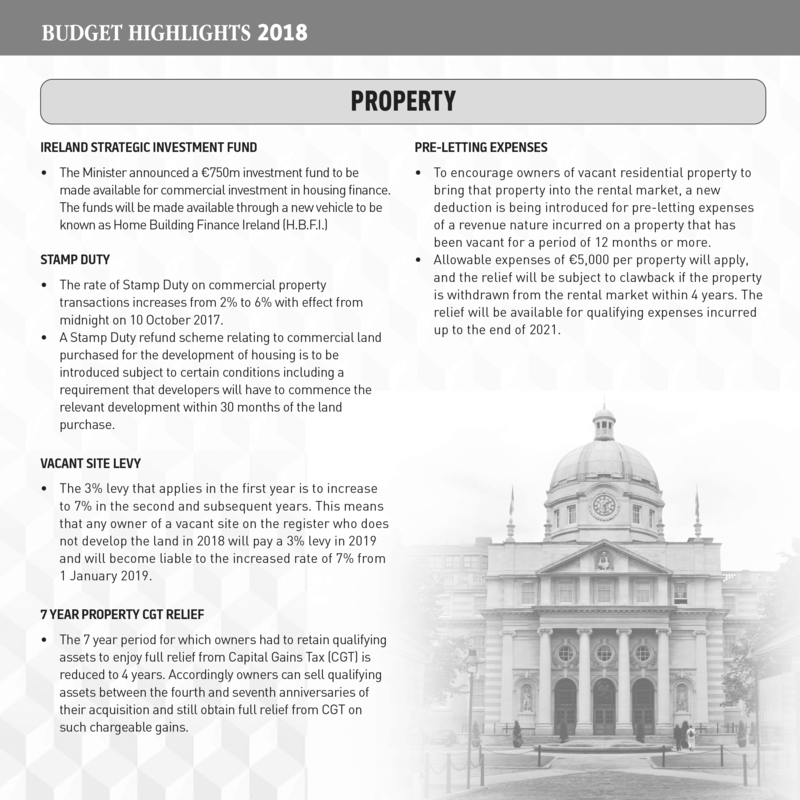 CGT – the 7 year CGT exemption is being reduced to a 4 years for those who make capital gains and have held the asset the required time period. 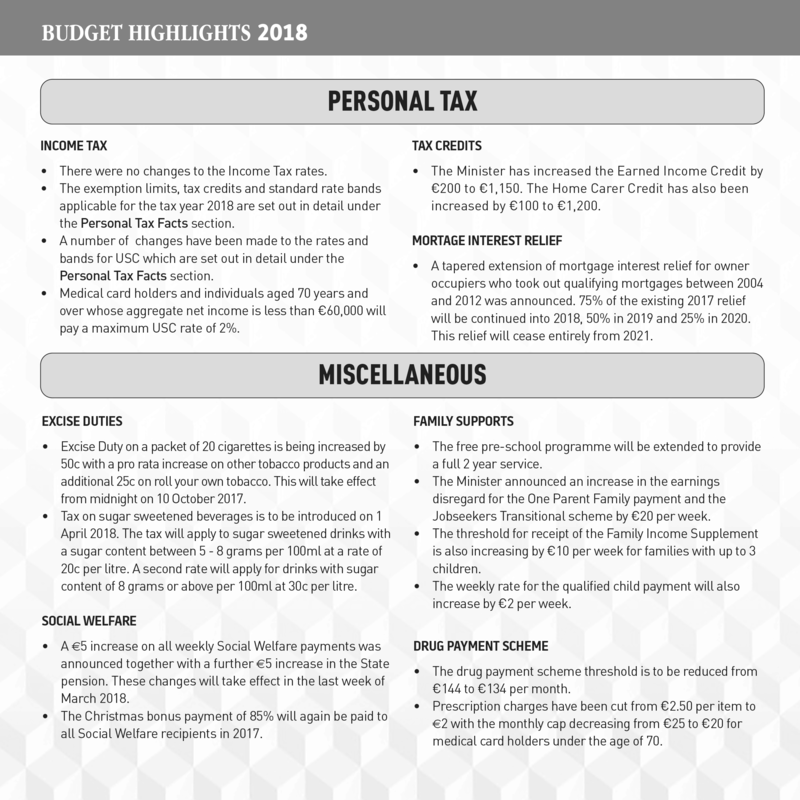 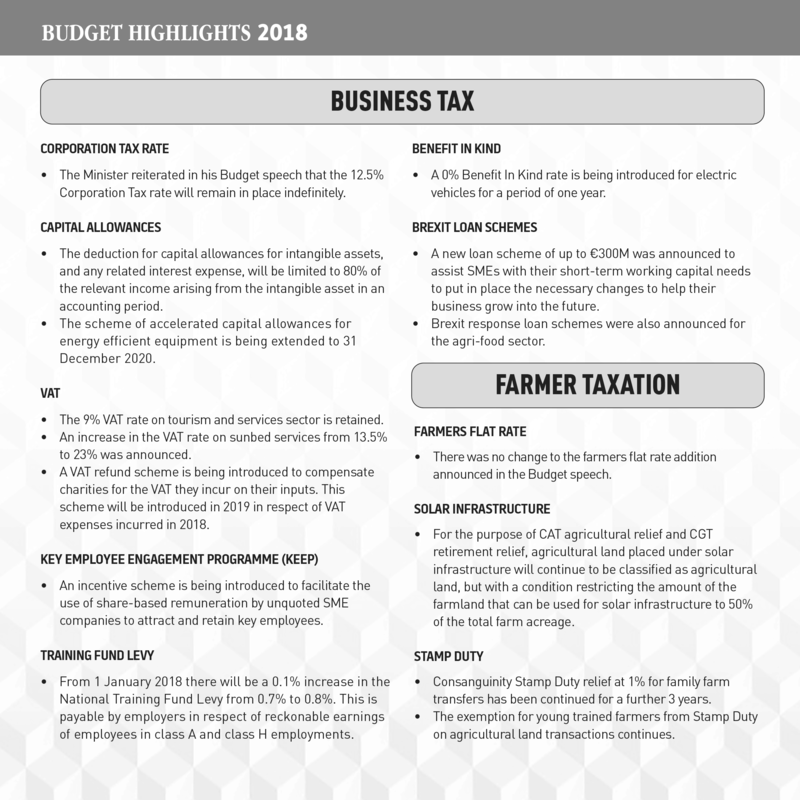 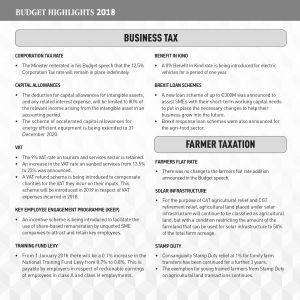 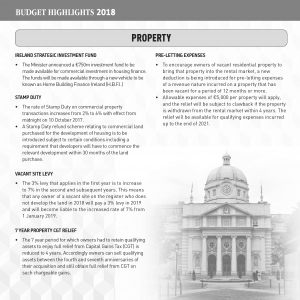 For more detail analysis please see attached our 2018 Budget summary. 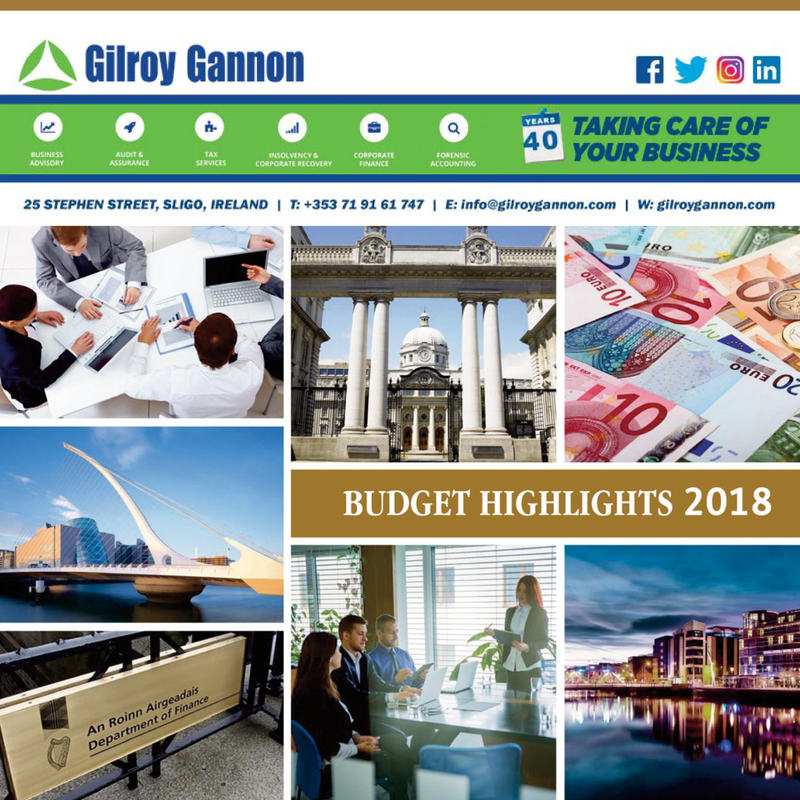 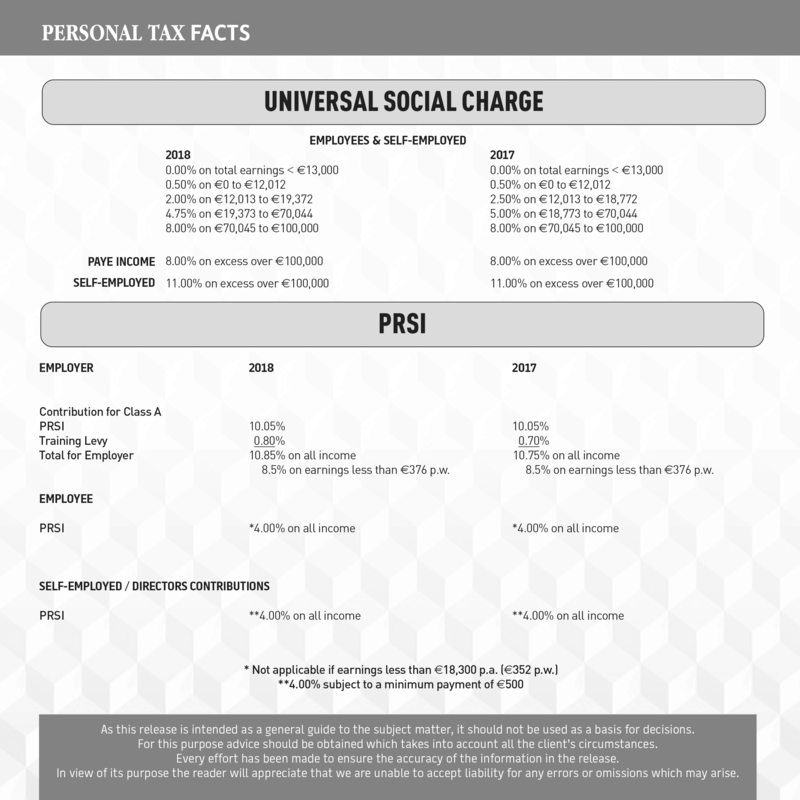 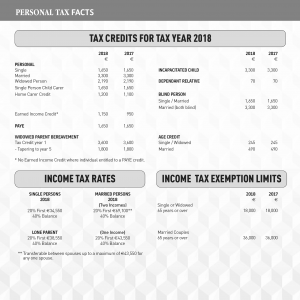 If you have any queries on this budget or any of your tax affairs please contact our Tax Director, Desi Foley. 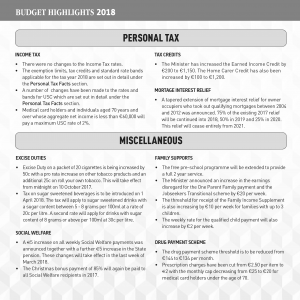 Posted in Budget 2018 and tagged Budget 2018.